Commemoration of heroism is universal in spirit and content in all traditions, irrespective of time and place. The emotions behind the heroic act are integrity, loyalty to a cause or to mother earth, self-sacrifice and courage. The folk lore and ballads are full of instances of commemoration of heroic acts. In sculpture and architecture such heroic acts are celebrated through erecting chhatris and memorial pillars. These are miniature replicas of a funerary monument, structural in concept and plastic in execution. In Rajasthan, these are known as Jujharas and Govardhana and are found in abundance in Marwar and Shekhawati. 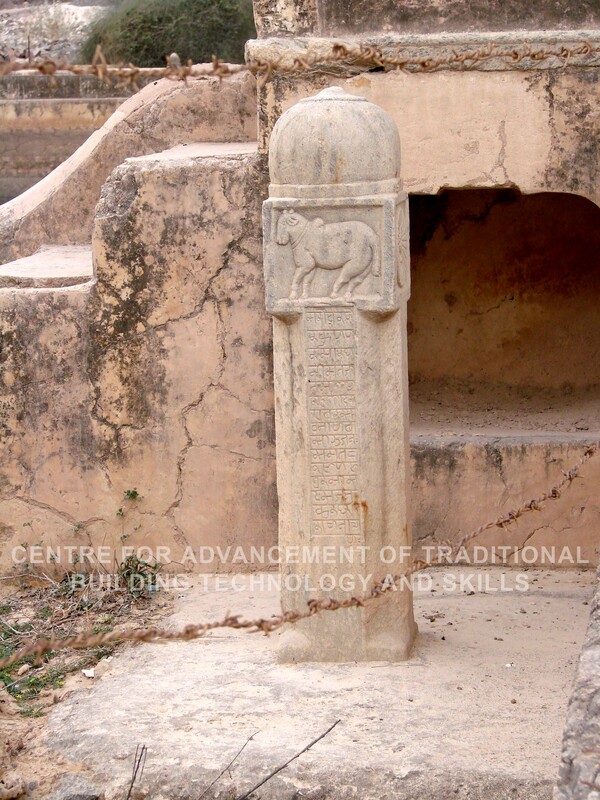 Similar memorial stones or pillar in other parts of India are known as viragals, natukals, paliyas, chhatris, devalis and kirttistambha. The victims during cattle raids, rescuing cows, horses, camels, Brahmins and women are glorified in the manner as also to serve a source of inspiration for posterity. The Jujharas and Govardhana are constructed in the memory of such incidents of violent deaths in the defense of animals and humanity. 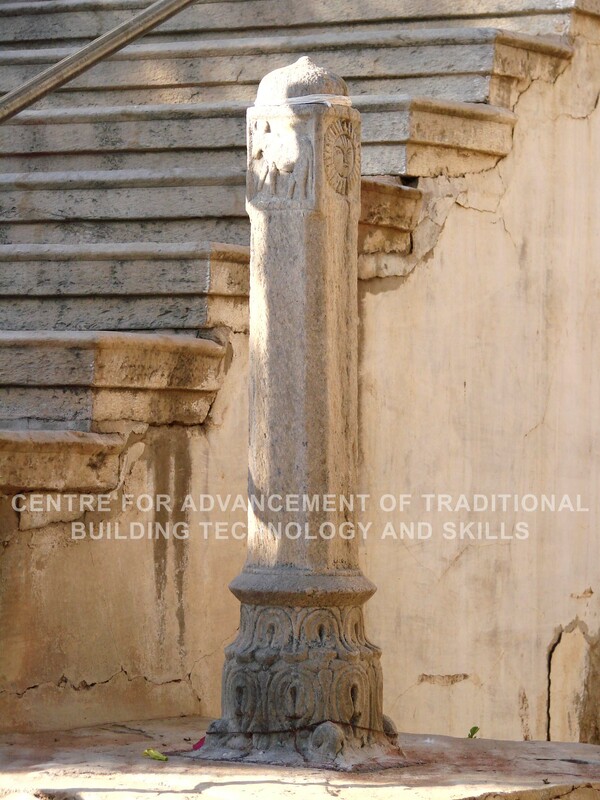 Jujharas are small square pillars with a round kalasa as its capital. The sides of the pillars are plain except for the space for recording the inscription, the details of the deed, the brave man in whose memory the pillar is set, containing also the day, date and names of the builder, engraver and the donor. On the capital of the pillar are carved four rectangle panels one on each side, depicting the Sun, the moon, cow and the image of Ganesha or sometimes the hero riding on horse. Sometimes, the image of Krishna as Govardhanadhara is carved as a symbolic representation of the heroic act. Hence, these pillars have derived the name, Govardhana. The images of the Sun and the moon are symbols of eternal time and creation. The cattle are carved to signify that the hero had sacrificed his life for the protection of the cattle. It had been a practice to give eternal source of inspiration for posterity by the representation of the sun and the moon as witnesses to give permanence to good acts so that it may have as long a life as these celestial bodies. These pillars were constructed at prominent places such as the entrance to the temples, wells, step wells, etc., to remind the people of the gallant deeds of the warrior and in turn receive reverence by all people coming there. These were also worshipped by people coming to wells, Johara and Bowris.